The Federal government has disclosed that an upward review of the Value Added Tax (VAT) is unavoidable to enable government pay the N30,000 new minimum wage to Nigerian workers. This is just as the government disclosed that it plans to tax luxury goods, including private jets, exotic cars, expensive drinks, wines and beverages, among others to generate more revenue to run the government and build infrastructure and pay workers salaries and allowances. 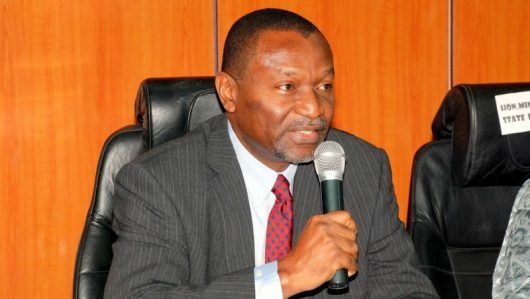 Minister for Budget and National Planning, Udo Udoma revealed this yesterday during an interactive session on the Medium Term Expenditure Framework (MTEF) and Fiscal Strategy Paper (FSP) between the Senate Committee on Finance and Minister of Budget and Planning, Director of Budget Office, Debt Management Office, and revenue generating agencies, where he called on Nigerians should prepare for imminent VAT increase. He said that the federal government in the nearest future, will send details of the proposals for VAT increase and will also be coming to meet with the lawmakers to discuss how the new VAT regime would be effected. He added that the revenue generated through the increase would be applied to pay the new minimum wage to workers, while part of it will also be applied to education, health and development of infrastructural facilities. He further said that as part of efforts to increase revenue accruable to government for infrastructures, the President has directed that works should be concluded on the national trade window, which he said would optimize revenue by the Customs Service and other revenue agencies. He pointed out that the 2019 budget is smaller than that of 2018 because the government is interested in reducing borrowing. According to him, to stop borrowing, expenditure will have to reduce, hence the reduction from N1.9trillion to N8.83trillion for capital expenditures. While expressing hope that the budget size can increase in 2020, he said the best option before the government presently is to reduce the size of the budget. The minister said that for government to reduce its debt profile, it must increase revenue sources. In his remarks, the Director General of Budget Office, Ben Akabueze, said the budget projection for the 2018 fiscal year were largely met, adding that about 77% was achieved, while N1.2 trillion has been released to fund capital budget of 2018, noting that none oil projections were achieved at about 76%. benchmark for the budget are realizable. He said that Nigeria has the technical capacity to meet the 2.2million barrel per day projection, provided that there is security in the Niger Delta. He said the peace efforts already being made by the government in the region has started yielding results, with Nigeria achieving almost two million barrels per day in the second half of 2018. Speaking also, the Minister of Finance, Zainab Ahmed, who was represented at the discussion, said the Ministry has put measures in place to ensure sustainability and explore new sources of revenue, as well as to ensure cohesion between the sustainability and exploration. government has given taxable persons opportunity to do self assessment and pay government their due taxes, which he said yielded N400 billion for the government. He said though the N8trillion projection for the agency is on the high side, he is optimistic. Commenting on the proposed VAT increase, Fowler said government is ready for the increase, even as he Advised Nigerians to prepare for the VAT increase, just as he said in Ganah, the VAT is far above what obtains in Nigeria. He said FIRS has put up measure to close in on agencies and corporate bodies who collect VAT and fail to remit to government. Also, the Comptroller General of Nigeria Customs Service (NCS), Ahmid Ali, who was represented, said the agency has proposed to generate N937billion for 2019, adding that the agency wants to increase avenues to collect all collectible revenues so as to meet its target for 2019.